Paul Singerman is a partner resident in the Miami office of Berger Singerman. Mr. Singerman is Co-Chief Executive Officer of the firm, and practices on the Business Reorganization Team. Mr. Singerman concentrates in troubled loan workouts, insolvency matters and commercial transactions. Mr. Singerman is active in the State and local bar associations. He has served on the Executive Council of the Business Law Section of The Florida Bar for fourteen years and has held many offices of the Business Law Section; first as the Chairman of the Continuing Legal Education/Special Programs and Meetings Committee (1987-1990); next as Vice-Chairman (1990-1991) and Chairman of the Bankruptcy/UCC Committee (1991-1992); then as Chairman of the Legislation Committee (1992-1993). In June, 1995, Mr. Singerman was installed as Chair of the Business Law Section of The Florida Bar. Prior to his becoming Chair, Mr. Singerman served as Secretary/Treasurer (1993-94) and Chair-Elect (1994-95) of the Business Law Section. The Business Law Section has over 4,000 business lawyers amongst its membership and is the third largest section in The Florida Bar. Mr. Singerman has lectured at numerous continuing legal education programs for The Florida Bar on the subjects of advanced commercial loan documentation, creditors’ rights matters and bankruptcy. In addition, he has lectured for numerous other continuing legal education providers, including the American Bar Association, the Commercial Law League and the American Bankruptcy Institute on the subjects of lending, lender liability and bankruptcy. 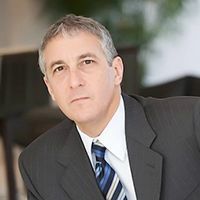 Mr. Singerman is a member of the Dade County and American Bar Associations, the Bankruptcy Bar Association for the Southern District of Florida, the American Bankruptcy Institute, and the Commercial Law League of America. In 1997, Mr. Singerman was elected to the Board of Directors of the Bankruptcy Bar Association for the Southern District of Florida. Mr. Singerman earned both his B.A. (with highest honors, 1979) and his law degree (with honors, 1983) at the University of Florida. He was selected to membership in the Order of the Coif and Omicron Delta Kappa.